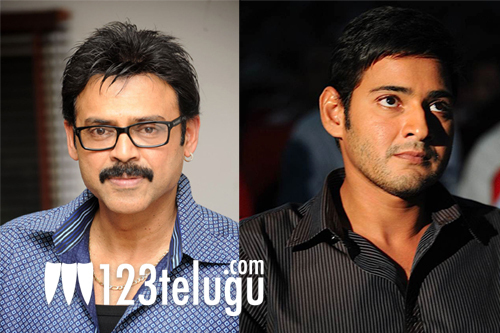 Victory Venkatesh and Superstar Mahesh Babu help each other in need and stand by as pillars of support. We are talking about their characters in the upcoming family drama ‘Seethamma Vakitlo Sirimalle Chettu’. Venky and Mahesh will be seen as two brothers who are willing to sacrifice anything for each other and they share a very affectionate bond. Shooting of the film is currently on at RFC and the makers are aiming for a Dussehra release. Prakash Raj is playing the crucial role of a father in this movie. He walked out of the project sometime ago, but was later brought back. Srikanth Addala is the director of this project and Dil Raju is the producer. Samantha and Anjali will be seen as the heroines. Mickey J Meyer is scoring the music.